Kyla Caddey is an Environmental Scientist with a diverse background in riparian habitat restoration, stream and wetland ecology, wildlife ecology and conservation, and wildlife and natural resource assessments and monitoring. Kyla Caddey is a Pierce County Qualified Wildlife Biologist with a background in riparian habitat restoration, stream and wetland ecology, wildlife ecology and conservation, and wildlife and natural resource assessments and monitoring. Kyla has advanced expertise in report preparation, grant writing, environmental education, data compilation and statistical analysis. Kyla has field experience performing in-depth studies in both the Pacific Northwest and Central American ecosystems. She currently performs wetland, stream, and shoreline delineations and fish and wildlife habitat assessments, conducts environmental code analysis, and prepares environmental assessment and mitigation reports, biological evaluations, and permit applications to support clients through the regulatory and planning process. Kyla earned a Bachelor of Science degree in Environmental Science and Resource Management from the University of Washington, Seattle with a focus in Wildlife Conservation and a minor in Quantitative Science. 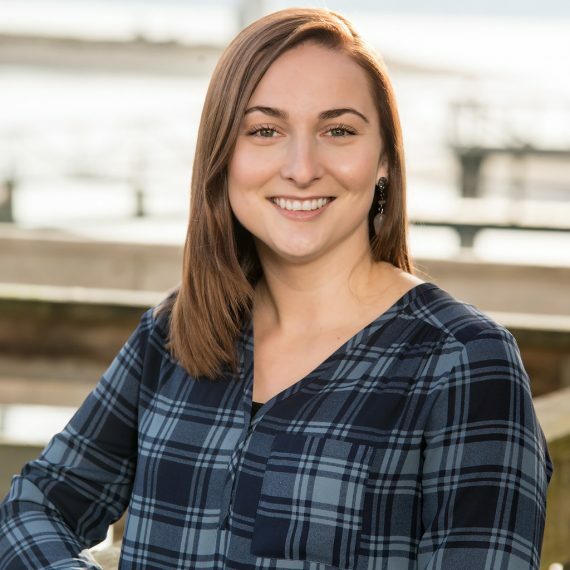 She has received 40-hour wetland delineation training (Western Mtns, Valleys, & Coast and Arid West Regional Supplement), and is a Pierce County Qualified Wetland Specialist and Wildlife Biologist. Kyla has been formally trained through the Washington State Department of Ecology and Coastal Training Program in Using the Credit-Debit Method in Estimating Wetland Mitigation Needs; How to Determine the Ordinary High Water Mark; Using Field Indicators for Hydric Soils; plant identification for Western WA; How to Administer Development Permits in Washington Shorelines; Puget Sound Coastal Processes; and Forage Fish Survey Techniques. 40-hour wetland delineation training, Phil Scoles of Terra Science, Inc.